You are at:Home»Featured Games News»Marvel: Strike Force»Wakandans are complete and ready for battle! In the last few days, FoxNext quietly placed last 2 members of the Wakandan team in MSF roster. Okoye was introduced on April 10th and Shuri came to our rosters on April 12th without big announcements by the developers. 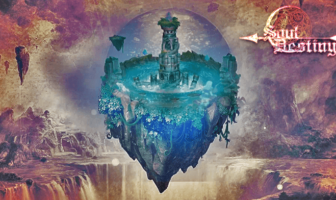 In a matter a fact we received in-game information that M’Baku’s passive was changed, but nothing alluded that we can also see Shuri in our rosters. Okoye is part of the game for a long time and we all already knew what she is capable of. The full description of her skills revealed new things but the overall impression is that she will be useful only with the rest of the Wakanda team. Like all Wakandans, Okoye can generate Charges and while Charged she is infused with Assist Now on every Wakandan turn. She can also apply Defense Down on the single target, boost herself with Offense Up, clear 1 negative effect with her basic ability and ignore enemy Armor, but the basic damage of her skills is mediocre at best. In short, the most important thing is that she can assist other Wakandans very often and therefore she can improve the general damage output of the Wakandan team. If you try to combine her with other Heroes you will be disappointed for sure because even Nebula hit harder according to the skill description. It is true that Okoye’s passive improves her overall damage by 50% Piercing but that Piercing damage output proved not to be essential in War-Machine’s case. To be honest, before we see her regularly in the Blitz or the Arena battles we cannot know anything for sure, so I will not jump to conclusions just according to the skill description. Shuri, on the other hand, immediately took my attention. With Shuri, all those average Wakandan Heroes becomes brutal and terrifying. She gives them Defense Up, Charges, and Ability Energy with her special ability. As you know every Wakandan Hero has a special skill which can be performed only if they are Charged, so free Charges for the whole Wakanda team is an unbelievable boost that can change the battle outcome immediately. Knowing that Defense Up also triggers some special effects for the majority of Wakandan Heroes, Shuri’s special ability is probably the best special ability in the game together with Nick Fury’s and Rocket Raccoon’s special. 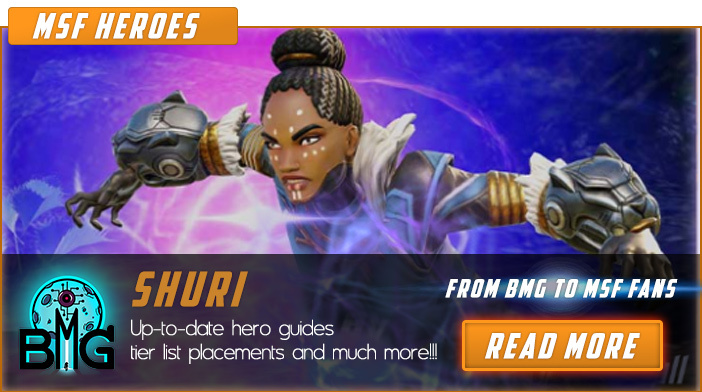 Above all that, Shuri’s main role is not to buff – her main role is to heal and her healing is amazing! At the start of each turn, she heals Wakandan allies for 10% of her health (20% if she is charged) and her ultimate restores 500HP + 15% Max HP to the most injured ally up to 4 times. In other words, if Shuri has 60000 HP, with her ultimate she is able to heal 38000 HP to one ally or she can divide that healing on most injured allies. I am not sure if you understand what that means but trust me that is A LOT of healing (just imagine that Night Nurse is capable to apply her special 4 times in a row – it almost like that). But that is not all! Shuri improves Max HP by 40% and Armor by 20% for all Wakandan allies in Raids and additionally grants them 3 Deflect when their HP drops below 50%. Most important of all, Shuri grants Speed Up to all Wakandan allies at the start of combat! It is true that her usefulness gradually decreasing if she is not in a Wakandan team and that she is not as versatile as some other legendary heroes like Star-Lord or Nick Fury but nevertheless, she is simply great. Definitely a Top Tier Hero! That means that Shuri’s special will trigger Killmonger’s passive which will hit the target under the Defense Down already attacked by Black Panther’s basic ability and Okoye’s special ability. In other words, any Hero who has not Defense Up on self will not survive Wakanda’s initial attack. That means that Iron Fist, for example, will be dead before Daredevil’s turn if Wakandans are fighting against Defenders. I can not predict what will happen in the second turn against Brotherhood because I simply don’t have enough facts to consider but in my opinion, the Wakanda team cannot win that fight. All in all, the Wakanda team will have many uses but it is still early to say if they will change the game balance in the Arena. I know that you already don’t have enough resources for the teams you are boosting at the moment and that investing in Spider-Verse is not your priority but I strongly suggest that you try to open Shuri and assemble strong Wakanda team as soon as possible! BlueMoonGame implemented all new heroes in our MSF Tier Lists, MSF Tier List Builder and MSF Best Team Builder. Soon we will officially present Wakanda team on our Best Teams Tier List page and we will continue to feature all the news regarding MSF. 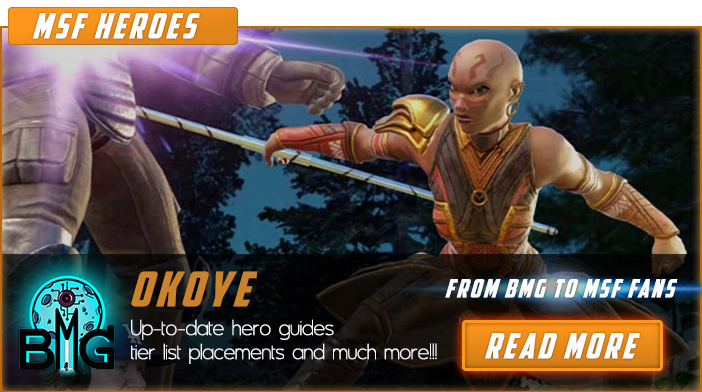 For detailed information about Okoye check our MSF Okoye page. Everything you need to know about Shuri can be found on our MSF Shuri page. General in-game value of new Wakandan Heroes can be checked on our MSF Tier Lists page. Good luck MSF Heroes and may the RNG be with you!